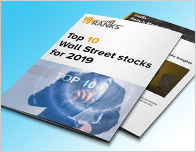 Companies in the Services sector have received a lot of coverage today as analysts weigh in on UnitedHealth (UNH – Research Report), Expedia (EXPE – Research Report) and Norfolk Southern (NSC – Research Report). Credit Suisse analyst A.J. Rice maintained a Buy rating on UnitedHealth yesterday and set a price target of $310. The company’s shares closed yesterday at $261.90. According to TipRanks.com, Rice is a 5-star analyst with an average return of 9.9% and a 62.5% success rate. Rice covers the Services sector, focusing on stocks such as Quest Diagnostics Inc, Genesis Healthcare, and Acadia Healthcare. Currently, the analyst consensus on UnitedHealth is a Strong Buy with an average price target of $308.55, representing a 17.8% upside. 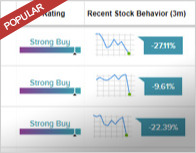 In a report issued on January 24, Stephens also maintained a Buy rating on the stock with a $294 price target. Credit Suisse analyst Stephen Ju maintained a Buy rating on Expedia yesterday and set a price target of $150. The company’s shares closed yesterday at $130.80. 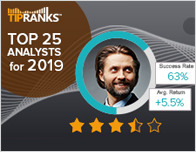 According to TipRanks.com, Ju is a top 100 analyst with an average return of 17.4% and a 67.6% success rate. Ju covers the Technology sector, focusing on stocks such as Activision Blizzard, Boingo Wireless Inc, and Alphabet Inc. Currently, the analyst consensus on Expedia is a Moderate Buy with an average price target of $151.16, implying a 15.6% upside from current levels. In a report issued on January 24, SunTrust Robinson also maintained a Buy rating on the stock with a $180 price target. Credit Suisse analyst Allison Landry maintained a Hold rating on Norfolk Southern yesterday and set a price target of $181. The company’s shares closed yesterday at $171.46. 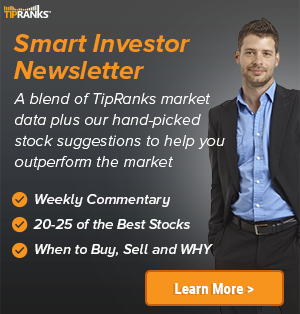 According to TipRanks.com, Landry is a 5-star analyst with an average return of 10.8% and a 64.5% success rate. Landry covers the Services sector, focusing on stocks such as Expeditors International, Echo Global Logistics, and Kansas City Southern. Norfolk Southern has an analyst consensus of Moderate Buy, with a price target consensus of $179, a 4.4% upside from current levels. In a report issued on January 25, Deutsche Bank also downgraded the stock to Hold with a $177 price target.